As a regular attendee of city meetings and recognizing the three minute limit to address council and with no opportunity to offer a rebuttal to council's response to my comments I submit to the council these thoughts. For years, I have opposed our city’s piecemeal planning, but to no avail. Through the years, it has been suggested to me to give up, do something else, or move away. The online commentators, many of whom hide behind aliases, name call, verbally attack and offer no solutions to the concerns I raise. Some of the solutions that I have offered such as updating the general plan or bringing Light Rail to Elk Grove have been regularly brushed aside by the council as too costly. These “costly” solutions may have produced something of benefit for all residents. Conversely, our council's costly schemes have produced binders of feasibility studies collecting dust on shelves inside City Hall. Many of us in Elk Grove are tired of the city council spending of our tax dollars with nothing to show but binders, dead malls, and overriding consideration traffic congestion. The most recent binder will be the one on the proposed Soccer Stadium. I suggested that a campaign finance reform policy be adopted by the city council as a mechanism to open the doors to those who would be interested in serving but do not have the deep pockets of financial backing. I spoke about revising the economic business incentives, so they are objective with consistent guidelines as the current policy and guidelines are flexible and subject to favoritism. 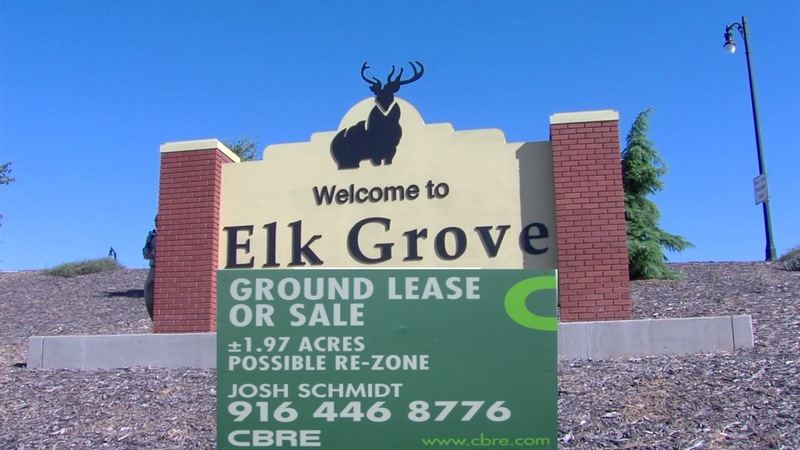 Is it too much to ask for leadership with vision focused on the needs of community-building and designing our city to be the most desirable and best Elk Grove can be? We as a city have so much that has not been recognized by our leadership, and I want leadership that once described a "gem of Maderia" to produce the gem. Instead, the city leaders have sold out the residents on the belief that home developers and land grabbers have the city's best interest at heart. Whether it is approving general plan amendments, reducing park size or other moves to lower our standards, we have repeatedly heard our council members give the tired, and frankly lazy, reasoning "this is the best we could do." An example of the "best we can do" mentality are the apartments on Civic Center Drive. I have heard two residents refer to the complex as "Russia" due to the bland architecture. Residents in Maderia deserve a diamond not cubic zirconia with the assessments they pay. Our leaders have sold out the residents citywide who have invested in the community with the purchase of their home. Many of the same residents fought to keep their homes and to remain in the community when the housing market crashed. One such resident bravely spoke out about his family's personal situation at a council meeting. I spoke to him following the council meeting, and he realized that the decision regarding the project in question was pre-determined before the meeting. Nonetheless, he wanted the city leaders to know what effect their decision will have on his family and neighborhood. He wanted them to attach a face, a family, a neighborhood to their decision. I just wonder if the city council’s decision would have been the same had it been in a city leader's backyard? He is just one of the many thousands of residents who ought to be represented, instead of the few they are beholden to. This past week I had conversations with two Elk Grove residents who knew of my involvement in civic affairs who commented to me "we do not need more homes built in Elk Grove." The other said "the Soccer Stadium is a crazy idea; bad location and will not draw the population that Sacramento will,"
My response to both was the "city council stopped listening and hearing me years ago, and you need to go to a meeting. You need to speak up." The first, a retiree, wants to move away. The second is a young father who said “I would, but after I leave this job in the afternoon I have a second job I work from 5:30-9:30 p.m."
It is these voices who are not backed by campaign donations, lobbyist special dinners that need representation. None of the current city council members have received a majority of the votes, and four different council members have appeared on the ballot unopposed during the last two election cycles. I do not blame the city council for the low turnout, but in the interest of participatory democracy, each councilmember should be reaching out to those otherwise silent residents. The city council has been wrong when they tell me I do not represent others. I have, and I do. I have represented the two above and others. How can I say this with confidence? I have met them in the community. I am still looking for the leadership that will represent our residents well, and I will continue to be the loudest voice of opposition when they do not act as leaders. I will be the biggest tree hugger! I will be the person who will continue to test their patience. Besides my single vote, I have three minutes of democracy. Three minutes at the podium. Three minutes when I am not apathetic to the needs of all in our community. Three minutes when I will just not go away. Over the years my daughter has encouraged my involvement in city council meetings and hearings saying that mine is worth the effort. I am not a "no growther" as some assume. I am about better, sustainable, liveable and well-planned growth. A healthy community that can meet the needs of all who choose to call our city home. Two council members have continually said ‘build the homes and the jobs will come,’ albeit minimum wage ones. Am I stunned by their comment? Of course not, as they speak for the building industry. History has a way of repeating itself. As Elk Grove leaders have put officials in place which support their SOI and expansion outward, we residents will most certainly experience the fallout of the Ponzi scheme to fill the city coffers. History has a way of repeating itself. In the future, we will continue to hear about our city’s jobs to housing imbalance. Visionary leadership - my hope, my dream, and my prayer. The city keeps on approving new homes. Real smart forward thinking there. Sure isn't coming from thin air. We won't even have enough water to flush our toilets. Continued drought, one of the worst in over 500 years and they want to allow more new home construction which will lead to even more high density Low Income Housing Projects? "Data from NASA satellites show that the total amount of water stored in the Sacramento and San Joaquin river basins — that is, all of the snow, river and reservoir water, water in soils and groundwater combined — was 34 million acre-feet below normal in 2014. That loss is nearly 1.5 times the capacity of Lake Mead, America's largest reservoir. Right now the state has only about one year of water supply left in its reservoirs, and our strategic backup supply, groundwater, is rapidly disappearing. California has no contingency plan for a persistent drought like this one (let alone a 20-plus-year mega-drought), except, apparently, staying in emergency mode and praying for rain." You are effective, though I am sure the Elk Grove City Council and others want you to believe you are not. The city needs activists that must also be rebels who say a loud "NO!" to public policies that violate the core values of our local government. Ask yourself this: How many times have you spoken up against a policy decision and have been correct? It is not enough, however, to protest; activists also need to be social change agents who work to educate and involve the general public to oppose present policies and seek positive, constructive solutions which you constantly do. Your voice is heard out in the community and never believe otherwise! I realize this is a bit off topic, but the Bee is reporting that Major League Soccer is going to locate to Minneapolis. Now that Sacramento is out of the running for now, where does this leave Elk Grove's plans for their soccer stadium. They mayor has a duty to address this topic on Wednesday night after raising all the hopes of the soccer kids. Glad to finally hear from Lynn in an Op-Ed. She does share the views of MANY OF US citizens. She may be a lone wolf at the council meeting as I just don't have the time with job, family, and outside family goings-ons. I'm rarely at home before 8:00pm most weeknights. Attenedning a council meeting just isn't in the workings, although I wish I had time to come and share my thoughts with the council about the direction of our city. If I have a night off, I'm at home resting up for the next day's activities. I do listen and sometimes watch the meetings. The one meeting I did attend the Mayor and Councilman Detrick were rude to the speakers, perhaps another reason I have no intention of going back and sharing my thoughts. Like Lynn, I'm very disappointed in the direction of the city. All this talk about making us a regional or national destination is just crazy. Everyone knows it. It's just a political agenda to make one of the council look good to his party. Most people here don't even know the mayor is trying to make us a destination. 1) We have been reduced to a city with piecemeal planning. Developers get what they want, citizen's best interests be damned. 2) All we have to show for $millions are binders. No action taken on any community amenity. 3) A lack of community building on part of the council (except Mr. Suen who held public meetings after being appointed). 4) I did hear either the council or planning commission say that "this is the best we could do" in relation to a recent project. Why can't the PC and council demand better projects? Why do they cow to the developers every time? 5) There is a total lack of leadership in this city. real leader engages the public, works with the public, listens to the public, tries to find common ground between the developers and the public interests. 6) Because developers drive planning here, this city, like no other I have ever lived, has no city center, no central gathering place or hub. We have no direction. Good schools, good police, poor governance. That is Elk Grove. Lynn was right in all she stated. I agree so she's not alone. Many I have met feel the same way. I agree with most everything here. We do lack leadership and we don't have much to show for a lot of money being spent. ...and why are we still building houses when we can't water the lawns we currently have? Time for a moratorium on building until this drought is behind us. Lynn makes good points as usual. I realize that Lynn's point of view doesn't create tax revenue like the current council wants and seeks, but well thought out, slow and proper planning needs to be paramount if EG is going to become any kind of city people want to visit or live. Great article Lynn and appreciate your three minutes at council meetings. I've always found that when you speak and the council gets that "burr in their arse look" you maybe hit upon something they like to keep hidden. Our council likes to talk the talk, but not walk the walk.